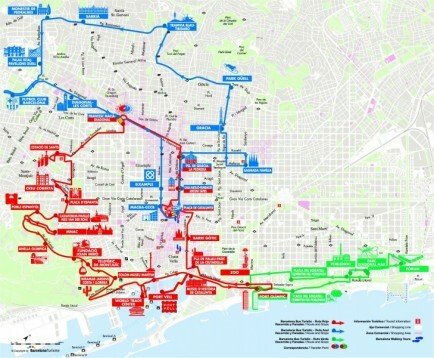 With this ticket you can visit the most important touristic sights of Barcelona in record time. You can also step of the bus to look at every monument closely. You can choose from 3 different routes and change from one to the other according to the monuments and enclaves in which you are most interested to view (view the map in the images to know the 3 different available routes). Click here to go to the senior tickets. 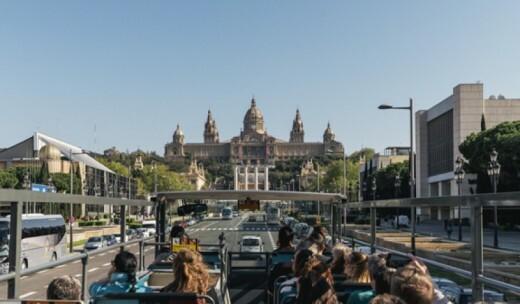 With this tour per bus through the city of Barcelona, you can choose between 3 routes that are shown on the map displayed between the pictures. You have the possibility to plan your route based on your priorities via different transfer point or correspondences (shown on the map). This means you can change from bus and participate to another route if there is a monument you absolutely do not want to miss! Or from the Parc de la Ciutadella, Diagonal, Sants Station, Montjuïc de Port Vell and many more stops. Tourist information of Barcelona on board the bus. Informative guide in 3 languages for each stop that is made. Free Wi-Fi on board, with automatic connection. In adverse weather conditions: check whether the tour will be carried out or not. This ticket is valid for one day. 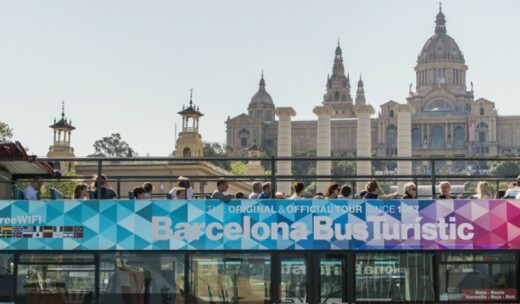 Every day of the year you can enjoy the city bus tour in Barcelona except on 1st January and 25th December. You can redeem your voucher before you get on the bus. 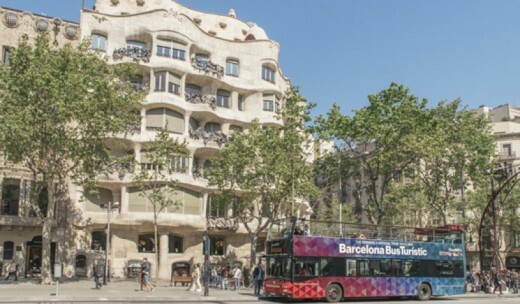 Heeft u hulp nodig met dit cadeau, City tour bus Barcelona Adults - 1 day?